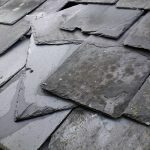 Some roofing leaks may need the attention of a professional roofing contractor, however, it may be possible to repair some roof leaks relatively easily yourself – with a little bit of guidance. If you discover a leak in your roof it’s essential that you fix it as soon as possible, even if it isn’t causing you any bother at present. If left too long even small leaks can cause major damage such as mold, destroyed insulation, and damaged ceilings. Here’s how to track down and fix the most common types of roof leaks. If you have water stains that extend across ceilings or run down walls this is probably a roof leak and the root cause will need to be located as soon as possible. Tracking down the leak is the hard part; the fixes are usually pretty easy. If following the trail of running water doesn&#146t reveal the exact location of the leak, start removing shingles in the suspected rough area. With shingles removed it should be easier to see further evidence of the leak and you should be able to track it down right to the source. Tell-tale signs include: discoloured felt, water-stained or even rotted wood directly below and around the leak. When plumbing vent flashing leaks the culprit is usually a cracked gasket or loose or missing nails. Plumbing vent boots can be made from plastic or metal, or a combination of the two. Check plastic bases for cracks and metal bases for broken seams. Then examine the rubber surrounding the pipe. If this has degraded or is torn in anyway, it can allow water to work its way into the house. 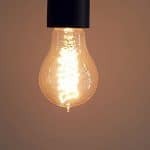 Any of these problems will usually require you to purchase a new vent boot to replace the old one. However, if the nails at the base are simply missing or pulled free and the boot is in good shape, replace them with the rubber-washered screws used in metal roofing systems. You’ll find them at most DIY centres or hardware shops. Step flashing is used along walls that intersect the roof. Each short section of flashing channels water over the shingle and down. But if the flashing has rusted through, or a piece comes loose, water will run behind it and into the house. Rusted flashing needs to be replaced. That means removing shingles, and then removing and replacing the step flashing. Check for cracked housings and broken seams on roof vents. Don’t simply fix the problem by lacing it with caulk – that won’t last long. You must replace the damaged vents. Often, wind-driven rain can enter the building around windows, between corner boards and siding, and through cracks. Caulk can be old, cracked or even missing between the corner boards and between window edges and siding. Water penetrates these cracks and works its way behind the flashing and into the house. Even caulk that looks intact may not be sealing against the adjoining surfaces. Dig around with a putty knife to see if the area is sealed. Dig out any suspect caulk and replace it with a siliconised latex caulk. Tiny holes in shingles can be the most damaging kind of leak because they can be present for years, causing rot and other damage before the physical effects of a leak are felt. Holes may be present from any sort of roof mounting such as aerials, satellite dishes and solar panels. Small holes are simple to fix, but once again, simply injecting caulk into the hole isn’t the answer. The holes need to be fixed with flashing. Flashing around chimneys can rust through if it’s galvanised steel. 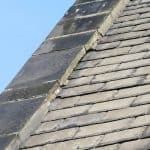 Chimney flashing is a bit trickier to repair; however a quick but medium-term solution is to simply slip new flashing under the old rusted stuff. That way, any water that seeps through will be diverted. Eventually though the best thing to do is to cut a saw kerf into the mortar and install new flashing. Rarely will caulk or roof cement cure a roof leak— or at least for very long. You should always attempt a thorough fix or replacement whenever possible. Remember to only carry out these roofing repairs if you’re a component DIYer. If you are unsure about anything it is best to employ professionals like DPR Roofing who are one of the leading Leeds roofers. For more information call 01924 or visit www.leedsroofs.com.